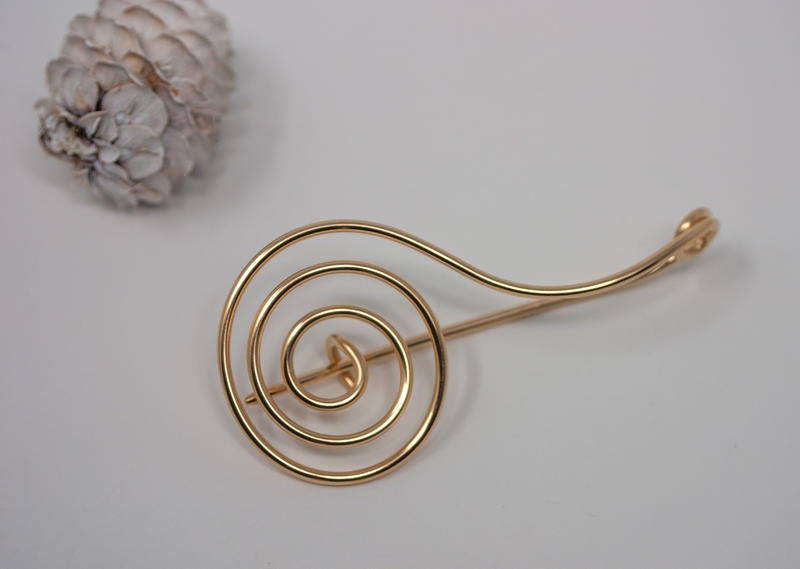 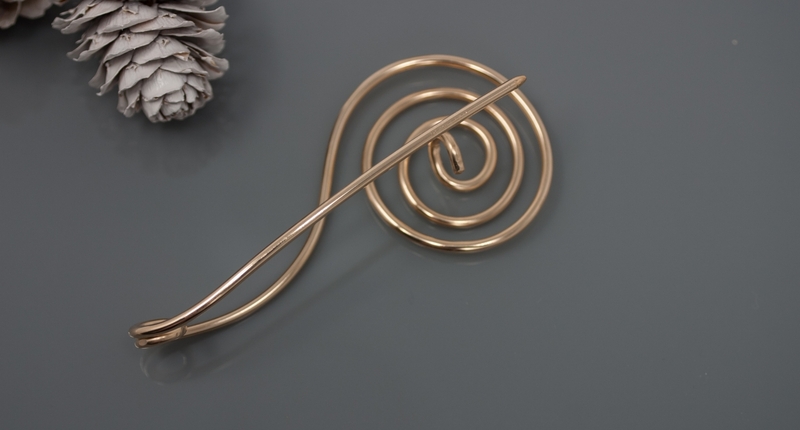 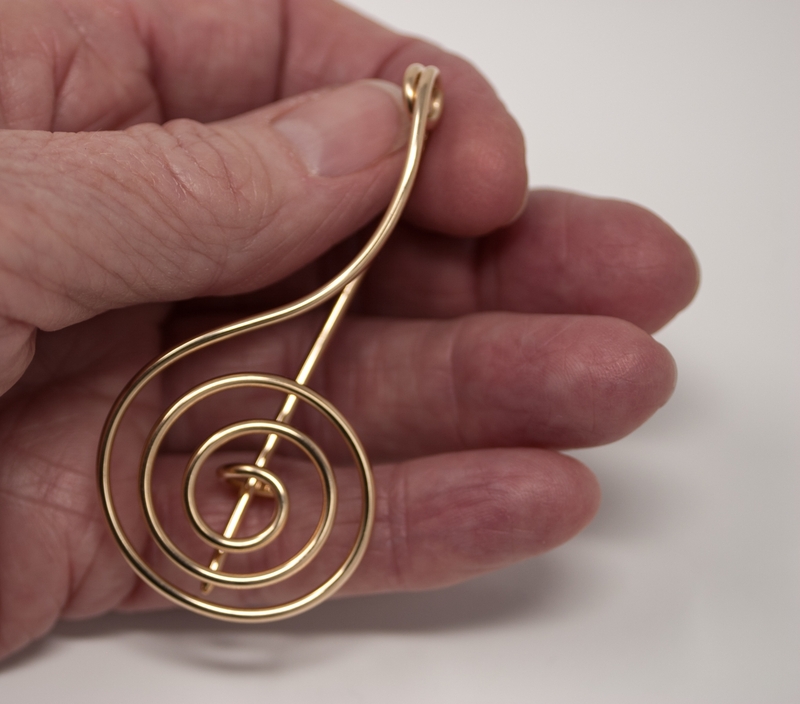 A useful handmade gold filled spiral shawl pin with clip closure. 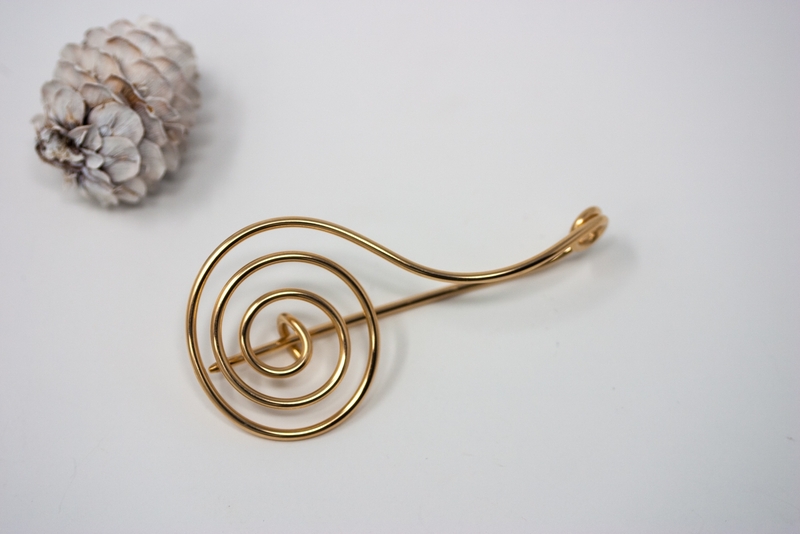 Great for holding a sweater or shawl closed, or when you just need a little something to accent that scarf. 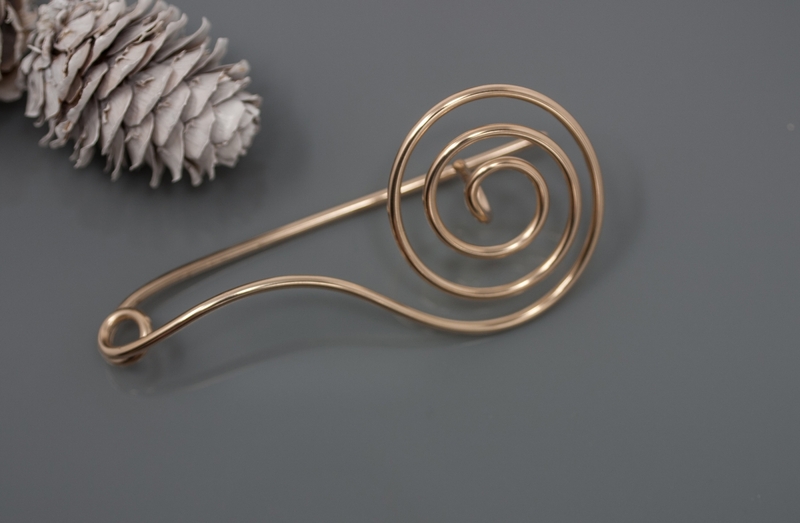 2 1/2" long by 1 1/4"" wide. 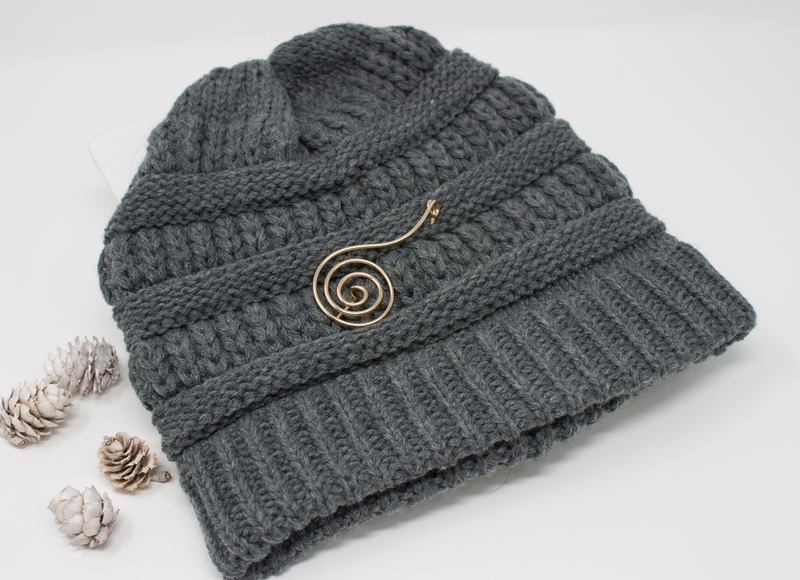 It has a smooth, tapered end so it won't split or tear your yarn. 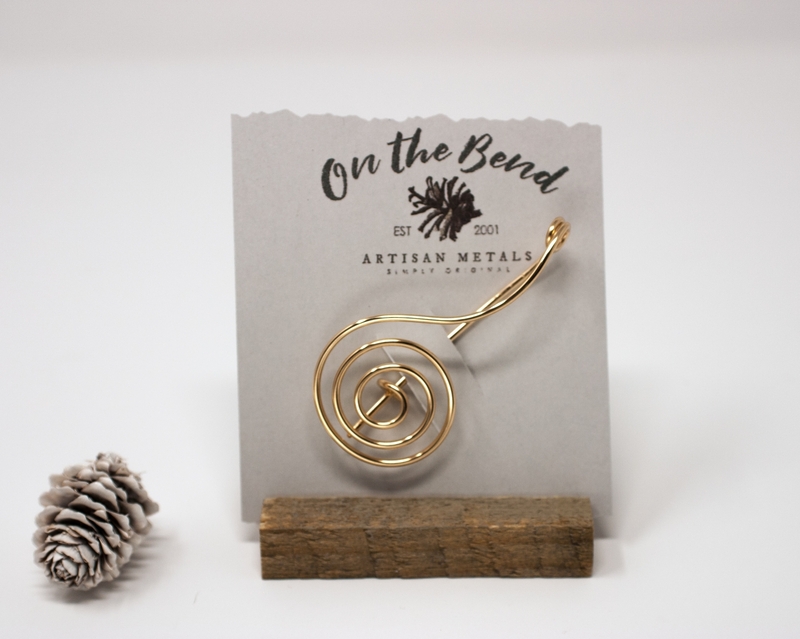 My pieces are handcrafted from refined (recycled) metals sourced from eco-friendly US refiners.